For those of you who want to challenge yourselves and play along with the competitors during each of the weekly challenges, you can do so and now win prizes! 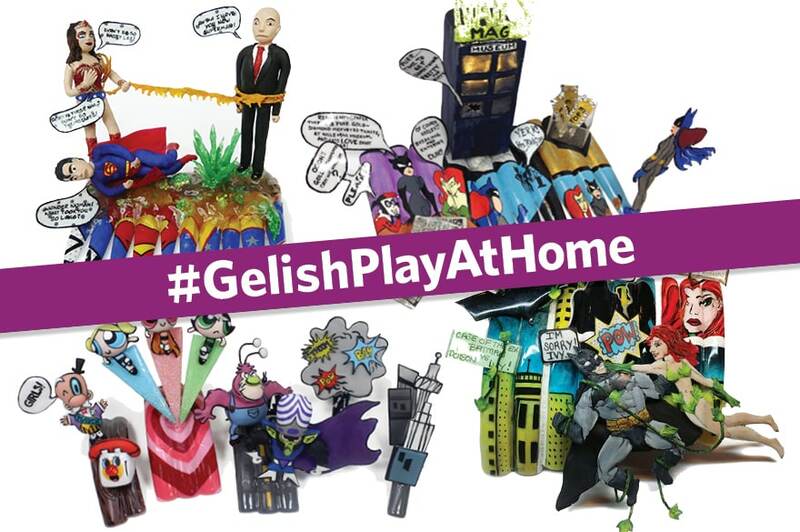 Simply complete the challenge and post your picture to social media (Instagram, Twitter, or Facebook) with the hashtag #GelishPlayAtHome. Each week, Gelish’s Sandy Borges Combs will select a winning at-home player to win a prize package from Gelish. Throughout our Next Top Nail Artist competition we asked nail professionals to play at home and give us their interpretations of the weekly challenges. 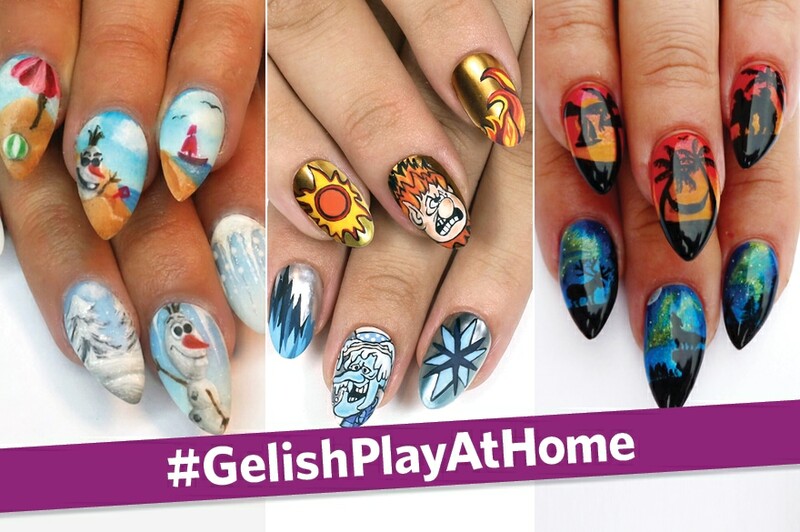 Every week the editors at NAILS were blown away by the #GelishPlayAtHome entries we saw on social media. The judges at Gelish picked their favorites, now it’s the NAILS team’s turn to share their picks from the competition. These five artists will also receive a prize from Gelish. We asked nail artists to show us their hottest and coolest hand-painted nail art on social media. Congratulations to Lisa Bennett who will win a prize from Gelish. 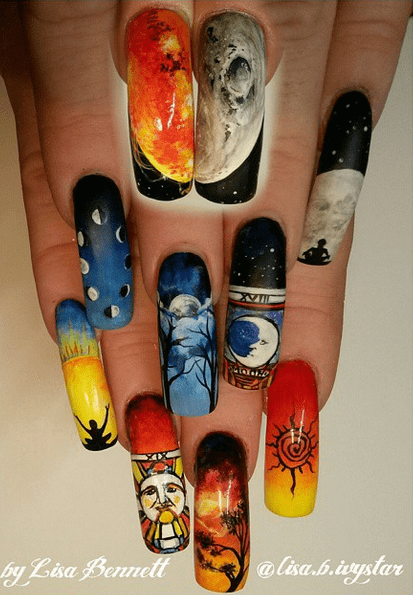 We asked nail artists to summon their super powers and show us comic strip-inspired nails on social media. Congratulations to Kerlisha Munroe who will win a prize from Gelish. Now that you’ve seen what the NAILS Next Top Nail Artist Top 3 have come up with for their 10th challenge, it’s your turn! Take a cue from Gel II’s color-changing Reaction line and paint a hot-inspired nail design on one hand and a cool design on the other. Follow similar rules as the competitors and upload a photo of your completed look to social media (Facebook, Twitter, or Instagram) and make sure to use the hashtags #GelishPlayAtHome and #NAILSNTNA. On Monday, November 17 at 10 a.m. we’ll select our favorite designs and representatives from Gelish will pick a winner. Each weekly winner will receive a prize from Gelish. 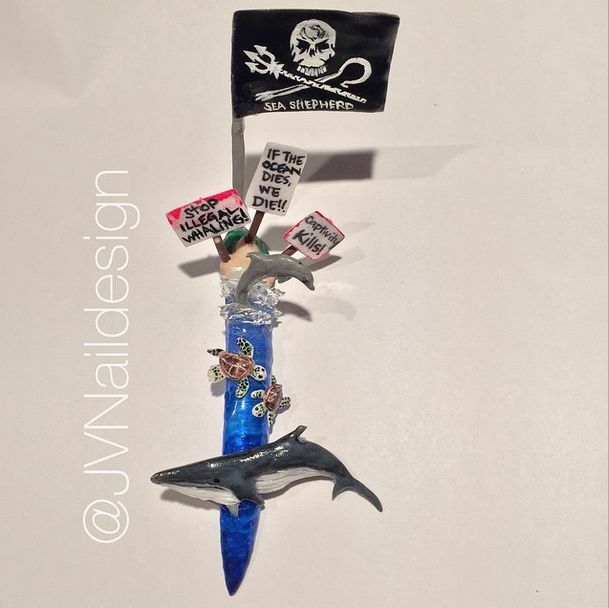 We asked nail artists to pay it forward and post their heartfelt creations to social media. Congratulations to Jessica Vero who will win a prize from Gelish. 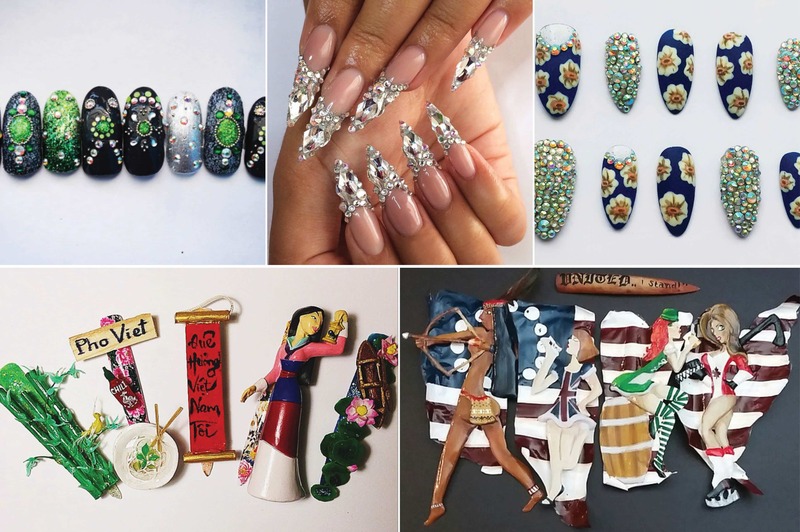 Now that you’ve seen what the NAILS Next Top Nail Artist Top 4 have come up with for their ninth challenge, it’s your turn! 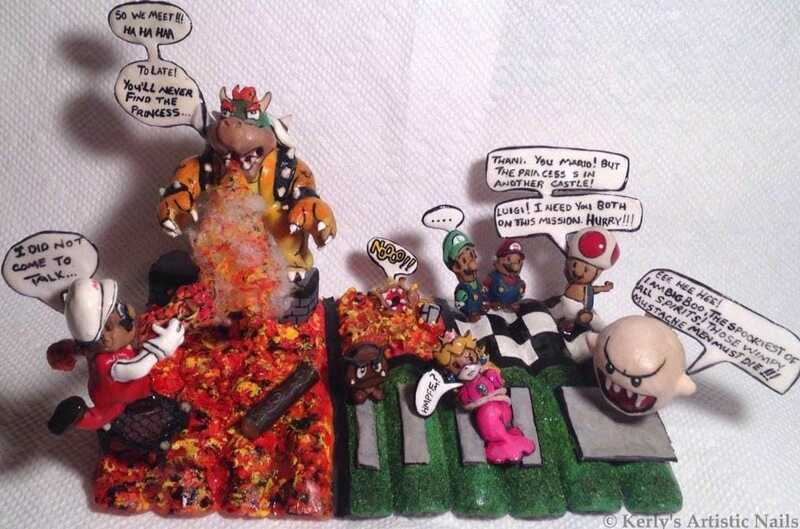 Create 3-D comic strip style nail art conveying a story. 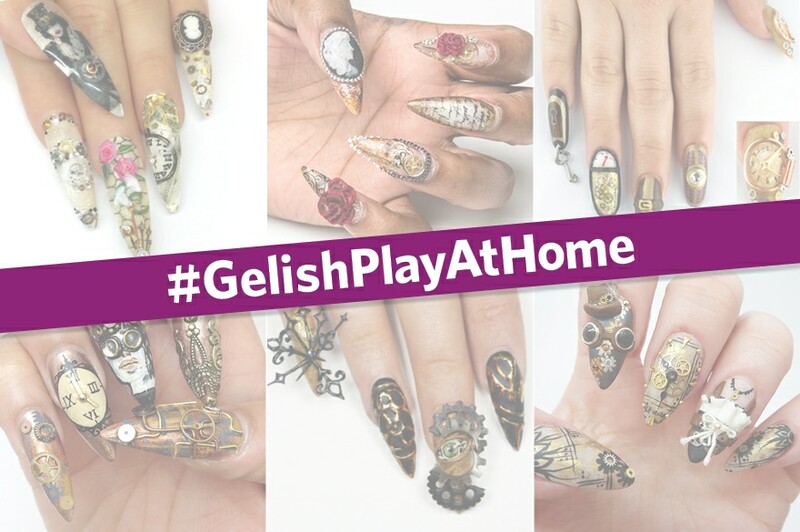 Follow similar rules as the competitors and upload a photo of your completed design to social media (Facebook, Twitter, or Instagram) and make sure to use the hashtags #GelishPlayAtHome and #NAILSNTNA. On Monday, November 10 at 10 a.m. we’ll select our favorite designs and representatives from Gelish will pick a winner. Each weekly winner will receive a prize from Gelish. Our Play At Home competition heated up as nail artists engineered steampunk-inspired nails and posted them social media. Congratulations to Kimberly Harr who will win a prize from Gelish. Now that you’ve seen what the NAILS Next Top Nail Artist Top 5 have come up with for their eighth challenge, it’s your turn! Create a single fantasy nail art tip dedicated to the charity of your choice. 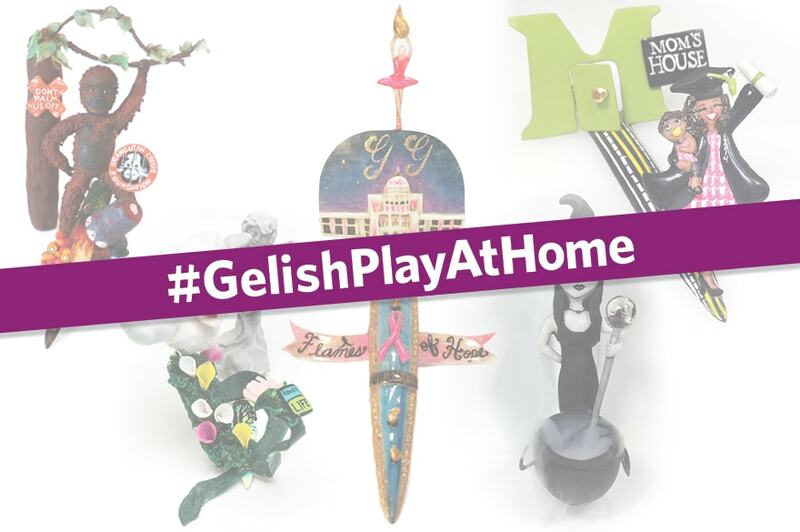 Follow the same rules as the competitors and upload your completed photo to your social media accounts (Facebook, Twitter, or Instagram) and make sure to use the hashtags #GelishPlayAtHome, #CharityNails, and #NAILSNTNA. On Monday, November 3 at 10 a.m., we’ll select our favorite designs and representatives from Gelish will pick a winner. Each weekly winner will receive a prize from Gelish. 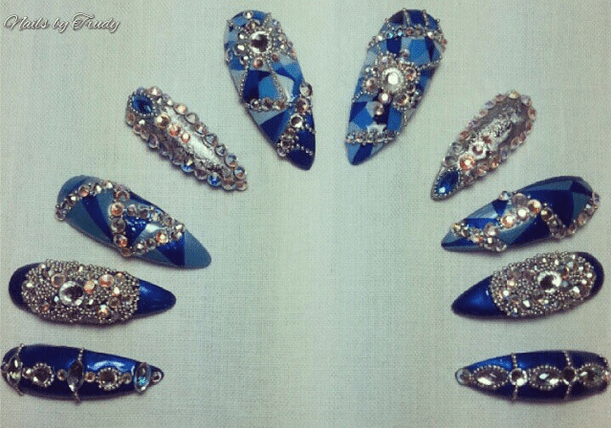 We searched social media for beautiful bejeweled nails that would dazzle us. Congratulations to Trudy Crystal who will win a prize from Gelish. Now that you’ve seen what the NAILS Next Top Nail Artist Top 6 have come up with for their seventh challenge, it’s your turn! 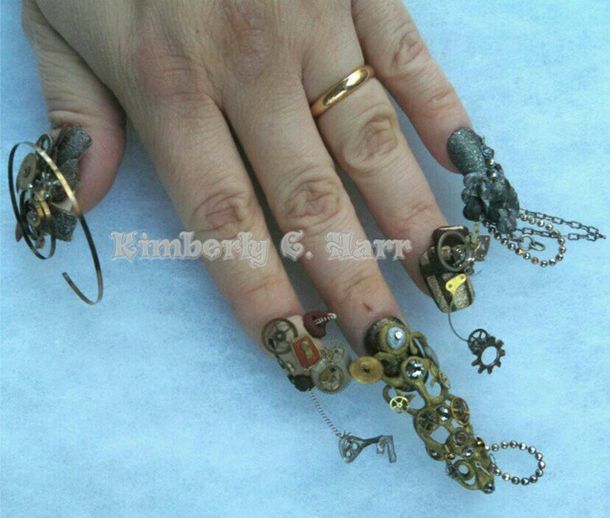 Create a set of wearable steampunk nails. Follow the same rules as the competitors and upload your finishes photo to your preferred social media account (Facebook, Twitter, or Instagram) and make sure to use the hashtags #GelishPlayAtHome and #NAILSNTNA. On Monday, October 27 at 10 a.m., we’ll select our favorite designs and representatives from Gelish will pick a winner. Each weekly winner will receive a prize from Gelish.